Category: Wildlife and Nature. Tags: frog house, toad abode, toad House. 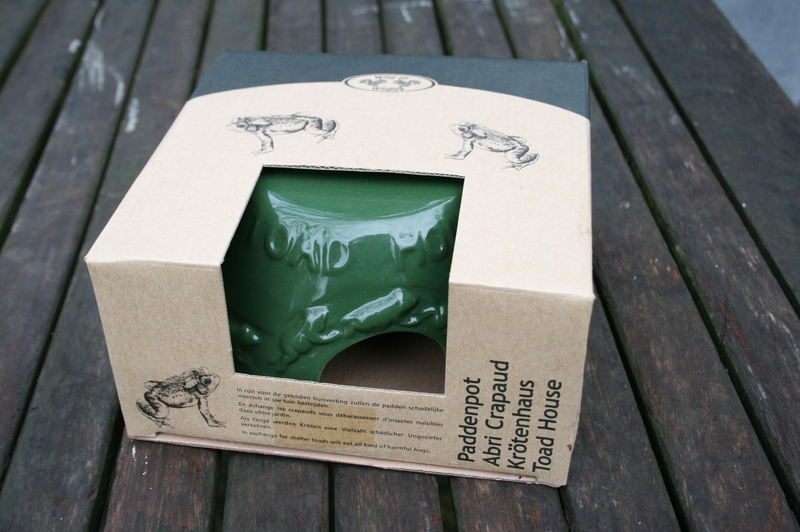 You can give the toads living in your garden a place to shelter with this ceramic toad house. 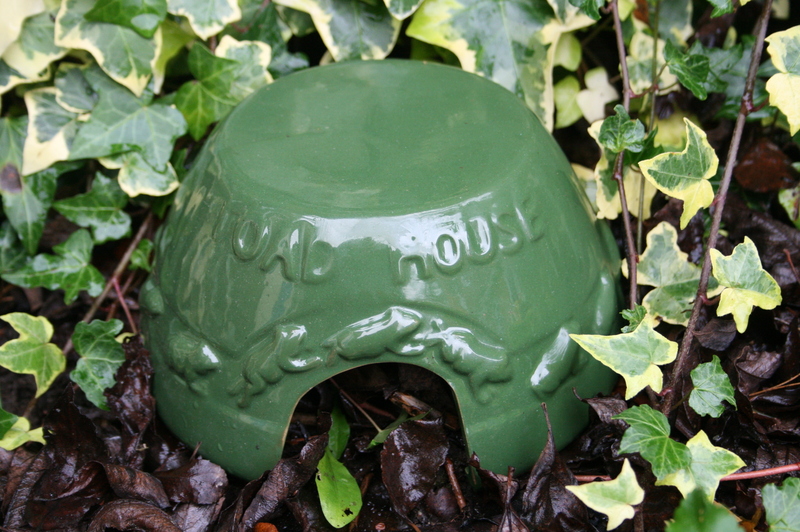 Toads are handy to have around the garden as they eat slugs and snails, and all kinds of harmful bugs. 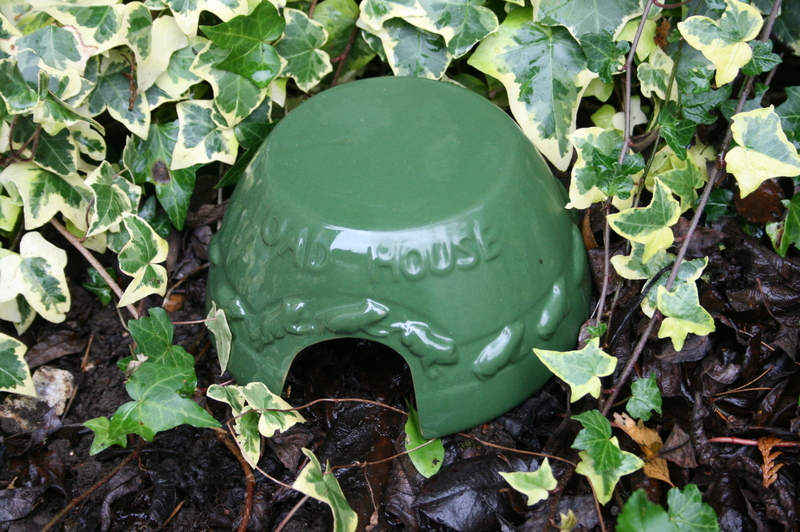 Placed in a moist, shady and protected part of the garden, the toad house will provide a safe environment for toads and frogs for both summer and winter habitation. The doorway measures 7cm wide by 6cm high. Size: 20cm in diameter x 9.5cm in height.